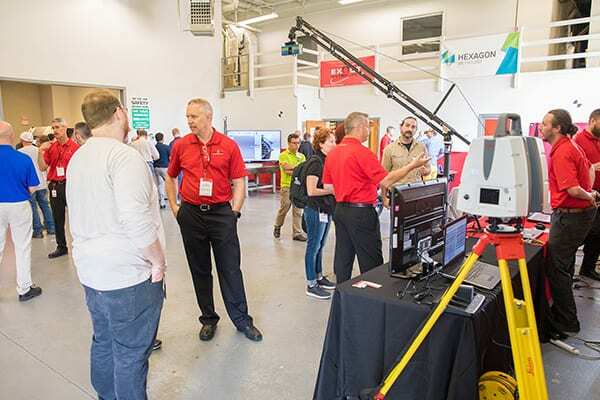 Exact Metrology, a comprehensive metrology services provider, held dual open houses at their Brookfield, Wisconsin location on June 21 and their Cincinnati, Ohio location on June 26, along with partner company PolyWorks — a leading provider of universal 3D metrology software. 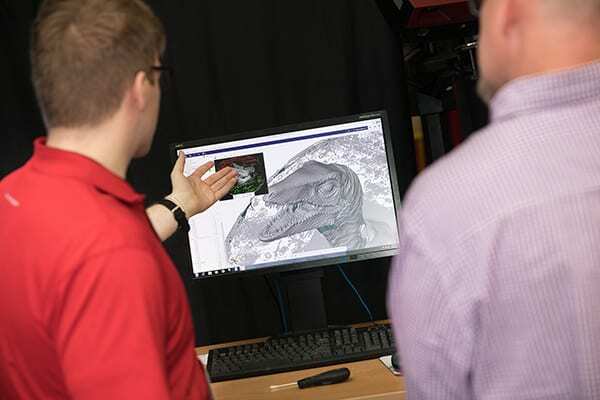 Both companies showcased their newest products in software and hardware for 3D and CT scanning equipment. The event was attended by a large number of people from several Midwestern states and a diverse range of business sectors. Hosted by co-presidents, Dean Solberg, (Brookfield, Wisconsin) and Steve Young, (Cincinnati, Ohio), the day included product demonstrations featuring the newest technology in 3D & CT scanning equipment, including the Romer SEI, Leica 402, SEI and Design X, CT, Leica P40, Surphaser, SEI and PC-DMIS, Revit Church Model, Atos/Breuckmann, Leica AT960 with the XL scanner and the Artec Ray (Brookfield). Multiple stations were set up throughout each facility, and much of the equipment was available for hands-on use by the attendees. Several attendees brought their own parts which were scanned onsite, then 3D printed. 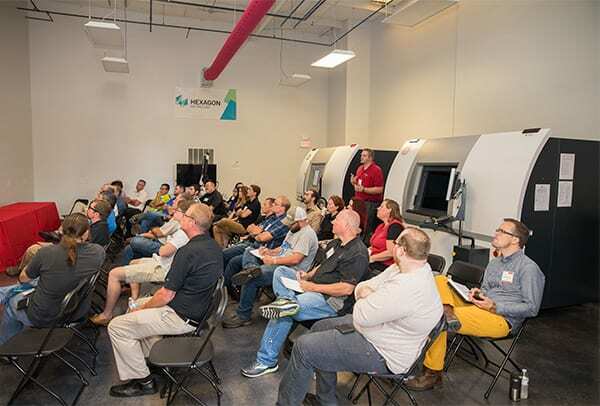 Running simultaneously throughout the day were several breakout sessions on 3D printing by Jay Murray, Envisiontec (Brookfield, Wisconsin) and metrology hardware and software by Kurt Lammers, PolyWorks (Cincinnati, Ohio). In between sessions, attendees were treated to full buffet lunch, including a pig roast. 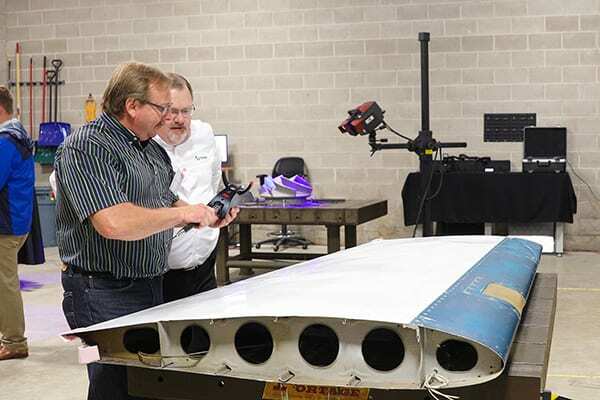 Attendees were heard discussing their excitement, and when attendee Mark Weigand, Raymond Corporation, was asked what the most interesting thing he saw was, his response was “I can’t narrow it down to one thing. The products are incredible. I saw some really neat things I had no idea existed.” Another attendee, Craig Pettinger, Senior SQUI Engineer, Cummins, said that “All of the workshops were especially helpful to not only answer questions, but letting people get a little experience with the types of equipment they are planning to purchase.” He was especially interested in the technology advancements in 3D printing and how to integrate it with reverse engineering. 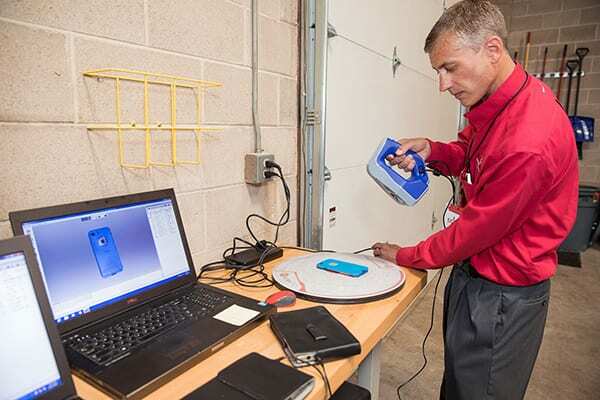 Exact Metrology offers a complete line of portable scanning and measurement technologies as well as contract measurement for 3D laser scanning services, reverse engineering services, non-contact inspection, metrology services and 3D digitizing. The company’s newest equipment includes a GE CT Scanner at its Cincinnati location, the first in America being used for industrial metrology rather than medical testing. Exact sells and rents metrology equipment solutions, in addition to providing testing as a service and application software training. 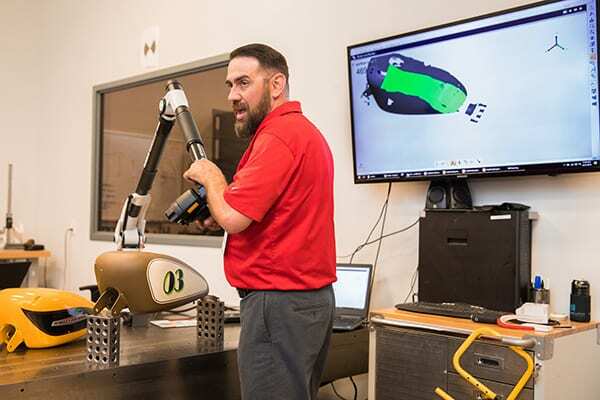 Exact Metrology, with facilities in Cincinnati and Milwaukee and affiliated offices throughout the Midwest, is a comprehensive metrology services provider, offering customers 3D and CT scanning, reverse engineering, quality inspection, product development and 2D drawings. 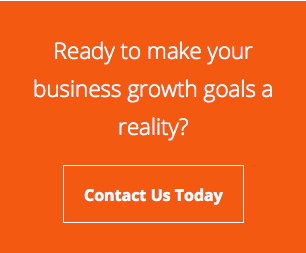 The company also provides turnkey metrology solutions, including equipment sales and lease/rental arrangements. Exact Metrology Now Represents GOM CT in U.S.
Our only focus is not on B2B, WE’RE i2i…industrial engineers talking to industrial engineers. © 2018 Bernard & Company. All Rights Reserved.